America’s Shark Boat, the MV Horizon, knows that our customers value many things including a great liveaboard experience, friendly, professionally trained scuba staff, terrific service and great savings on dive charters. Our operation in San Diego thrives on being the most chartered liveaboard in Southern California offering our dive customers the best pricing not only in California, but in the world. We have been taking divers on scuba charters since 1982 and pioneered cage diving with great white sharks at Guadalupe Island in 2000. We try hard to keep our charter prices as low as possible while also offering the best services for a US flagged liveaboard dive boat. 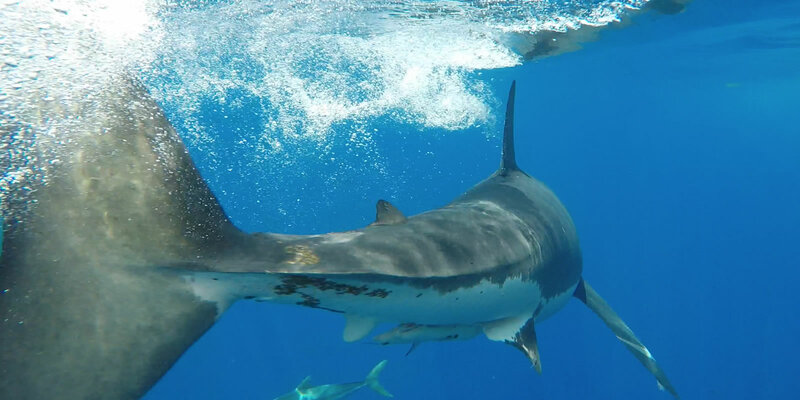 If you see a competitor great white shark adventure with a comparable vessel and dive charter timeframe with a lower price, take advantage of our Low Price Cage Guadalupe Island Diving Guarantee. Just reach out to us with the competitors offer and save some cash. Save money and join us cage diving this year with great white sharks!. You can buy with confidence on America’s Shark Boat the MV Horizon. Since 1982 we have made a name for ourselves offering world class great white shark adventures and scuba charters at great pricing. Let’s dive!